If process improvement were a crime, would there be enough evidence to have you convicted beyond reasonable doubt? When we talk about, and when we do, process improvement, we suffer from a seemingly inevitable human tendency to focus on problems, and on issues of poor process performance. If challenged, we might say that we mean, of course, “problems and opportunities”—but that aspiration is seldom sustained in practice. We are good at identifying weaknesses and circumstances that threaten process performance, but we need to look for other aspects—characteristics that make a process strong, or opportunities to do something new. 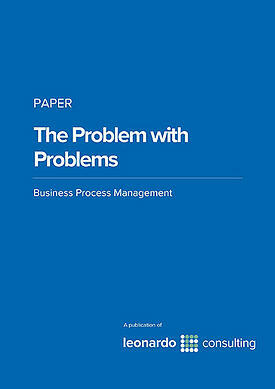 The practical steps to implemeting sustainable process-based management and process improvement into practice.